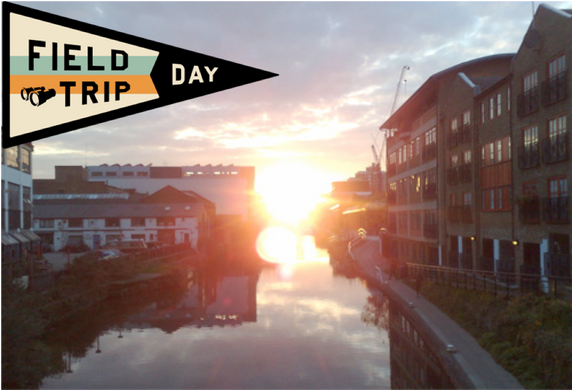 Join Field Trip in East London as we explore the most vibrant corner of England's capital. From Shakespeare to Banksy, mighty heels continue to pound these roads. Walk with us as we follow in their footsteps; from its own Little Shop of Horrors, to its canal backstreets, from its street art and live music, to its local bakehouses and flower markets. You'll even get to pet a pig on a farm smack bang in the middle of Hackney. Field Trip Day is an afternoon of local discovery, challenges, unique opportunities, and hidden surprises. Armed with the Field Trip app and your wits, an afternoon's adventure will reveal the neighborhood's secrets from William Blake to bicycle jump courses, from tea to taxidermy. Meet at 3pm at the Old Shoreditch Electric Light Station. This historic building in the heart of Hoxton is now home to Circus Space - a well established London circus school, located five minutes walk from the Old Street tube station and various bus routes, and a step away from Hoxton Square on Coronet St. Please note: check in will close by 4pm. After a day of exploring, we'll see you at 5:30 in the heart of East London art world, Lime Wharf on Vyner St. Expect clowns, a brass band, ice cream and a drink on us!